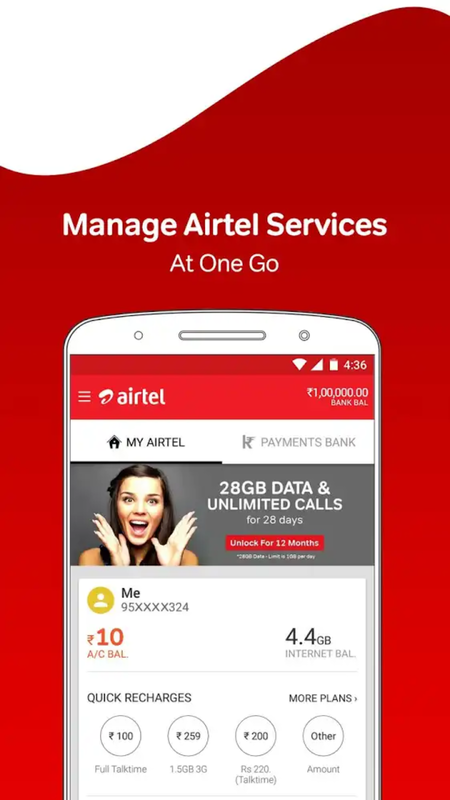 After waiting for so long, Airtel has finally launched its own MyAirtel self-service app in 3 countries, which are India, Bangladesh and Sri Lanka. MyAirtel app is similar to My9mobile and MyMTN app. MyAirtel app is a self-service platform which has been designed to serve yourself on anything concerning your Airtel sim without having to call the customer care service. Some of the services you can get on the app includes but not limited to manage your Airtel line, recharge your line, buy data plans, VAS services and more. The app also offers entertainment content too. MyAirtel self-service app is available for Android, iOS and Windows phone, but currently available in 3 countries, India, Bangladesh and Sri Lanka. The app is for both postpaid and prepaid subscribers and browsing on the app is totally free. The MyAirtel self-service app is available for Android, iOS and Windows users. Download for Android HERE (India). Download for Windows 10 HERE.